Two Milton School Board members say they’re concerned $30,500 in stipends are being handed to district employees without approval of the school board. 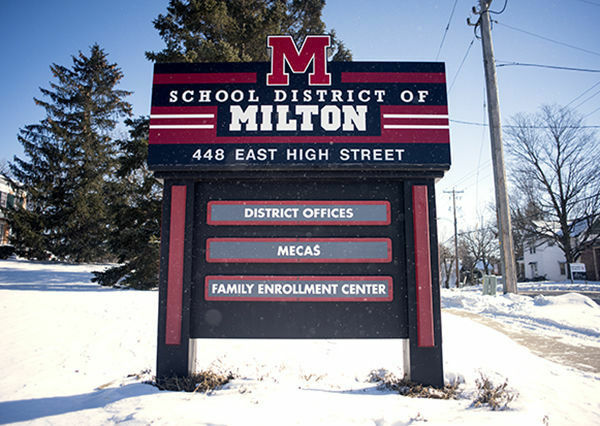 Milton School Board member Brian Kvapil on Thursday asked for an “emergency” board meeting to discuss the “conduct” of administrative employees. The school board was not able to gather a quorum for an emergency meeting, and Kvapil on Friday disclosed that he’d asked for the meeting to discuss a $10,500 one-time stipend he said was given to Superintendent Tim Schigur and a $10,000 stipend he said was given to Director of Administrative Operations Jerry Schuetz. Kvapil provided The Gazette documents he said he’d obtained from an “anonymous” source in the district that he says show school board President Tom Westrick in November 2018 signed off on Schigur’s and Schuetz’s stipends. Kvapil said the stipends were approved months after the board had approved contracts for Schigur and Schuetz and had added their contracts to the current budget. Kvapil said he had no knowledge of the stipends until he recently came across records of them. He said there’s no record he can find of the board discussing or approving the stipends. He considers the stipends to be “bonus” pay made outside of the budget and handed to employees without the necessary review by the board and approval of the board. Another employee, a district information technology employee, got a $10,000 stipend, but that stipend was approved by Schuetz. Schuetz’s stipend, according to records obtained by The Gazette, was for “temporary compensation given due to additional work responsibilities.” Schigur’s stipend is listed as a “temporary” pay increase “due to a doctorate earned” by Schigur in May 2018. According to the documents, Westrick signed off on both stipends Nov. 13. Schuetz signed off on the IT employee’s stipend Nov. 9. “The stipends were not in the 2018-2019 budget. Anything that’s outside of the approved budget needs to be approved by the full board,” Kvapil said. He said district payroll records show the stipend has been paid to Schigur, and part of Schuetz’s stipend has been paid. Kvapil said he finds it “disturbing” the community’s tax money would be “inappropriately spent on excessive bonuses” without board oversight or approval. He believes state statutes require expenses outside of the district’s budget and any pay for a superintendent to be approved by the full school board rather than OK’d by the board president without board review. Westrick on Saturday told The Gazette he wouldn’t comment on the stipend records Kvapil made public. He said Kvapil’s concerns would be discussed in closed session at Monday’s school board meeting. He repeatedly declined to discuss the stipends. The board already was slated to discuss administrator contracts for next year in a closed session on Monday. Westrick said the board’s attorney has told him it would be appropriate to discuss Kvapil’s concerns at that time. Westrick said the board couldn’t honor Kvapil’s request for an “emergency” meeting last week because the board wouldn’t have been able to reach a quorum that day. Westrick said he finds it “concerning” Kvapil has publicly shared district personnel documents. Westrick said he earlier wasn’t aware of specific reasons why Kvapil had sought an emergency meeting. Until Saturday, he said, he wasn’t sure exactly what district documents Kvapil had made public. “The Board of Education for the School District of Milton did not authorize Brian Kvapil to disclose personnel information/records. We are concerned that Mr. Kvapil’s disclosure may have violated the state laws governing the disclosure of public records. “The board will be working with legal counsel in order to determine whether we must take steps to protect the District from liability. “In addition, as I have mentioned previously, the Board will be discussing administrator employment, performance and compensation during the Board meeting on February 11, 2019. 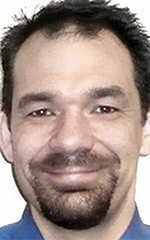 The Gazette was not able to reach Schuetz on Saturday for comment. Board member and board treasurer Mike Pierce sits on the board’s finance and human resources committees. Like Kvapil, Pierce said he thinks the board had no knowledge the stipends were being granted. Pierce said he doesn’t know of any record from the committees he’s on or board minutes that show the stipends were discussed or approved by the board. Pierce, a longtime board member, said he doesn’t believe that it’s proper under district rules for a board president to OK stipends or bonuses without board approval. “If they had that in their contract, it should have been budgeted,” Peirce said. He said the board in the past always has discussed expenses outside the budget, and in the past those expenses always have required board approval. Pierce said he’s not sure what the reason was for the stipends being handled without oversight by the whole board. He said he wants to give “the benefit of the doubt” for what he says might have been a mistake by those who signed off on the stipends. Board Clerk Karen Hall said Thursday night during a special board meeting other board members have been communicating with each other and with parties involved in an investigation of the district's handling of stipends.